Hey there! A couple of my online scrappy friends are new members of the Imaginisce Design Team. 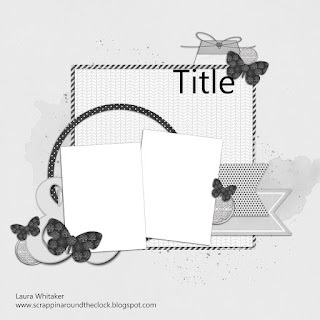 I thought I'd support them (and have a little creative fun myself) by playing along with the monthly sketch challenge on the Imaginisce blog. I work with Laura at Stuck?! Sketches and she creates really amazing sketches. 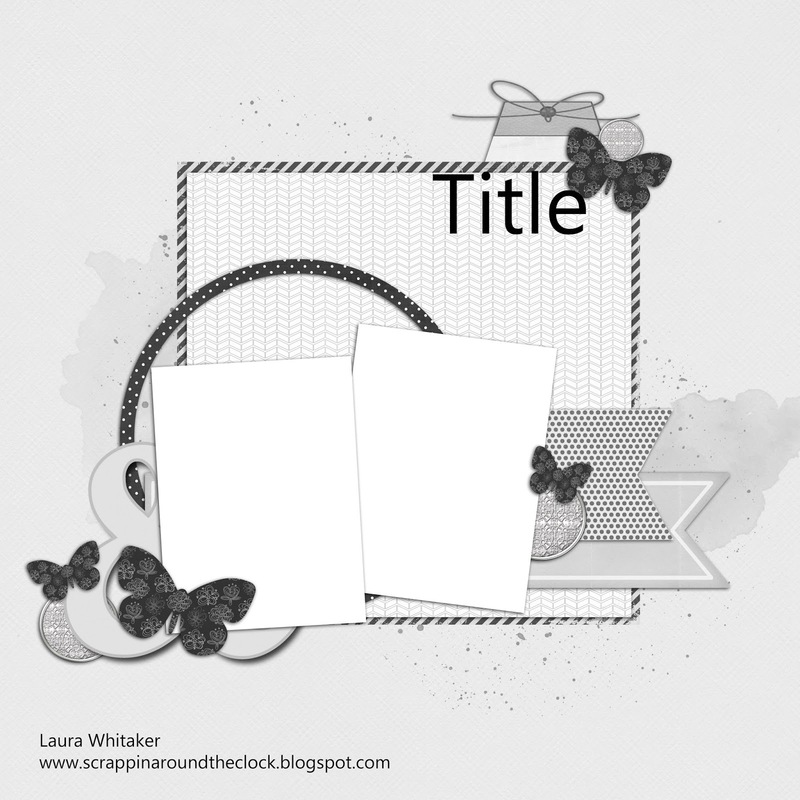 They are so easy to use and are adaptable to so many scrappy styles. Really, how could I not play along. My son eats what he eats and that's all. It is extremely difficult to get him to try anything new. I made something new, but called it something he's familiar with and he ate it! Not only did he eat it, he loved it! I couldn't give it to him fast enough. I call that a win and something to celebrate. So yeah, let's just count these Heartland Farm papers I bought during the summer. I'm a sucker for primary colors, and small pattern b-sides. Well, I set them aside, saving them for just the right project. Well, this is that project. Food. On the papers and the die cuts! And the pig! The pigs gave me the title for the page! I used mostly the small patterned papers which allowed me to embellish using the larger food die cuts. I laughed the whole time I was working on the page. i love using double meaning and humor on my pages. I loved the sketch and found it easy to use. I flipped it, added a few extra layers of paper, and moved some embellishments around. Thanks for taking a look at my creative view today. Come back again soon, I've got lots to share. Love your take on the IM Jan Sketch challenge! Thanks so much for playing along!! Wow!! What an awesome layout! Really love what you've done! Thanks for playing along! This is such a fabulous take I the sketch! Love the fun title and those papers and little pigs ar also adorable! Cute, cute page! 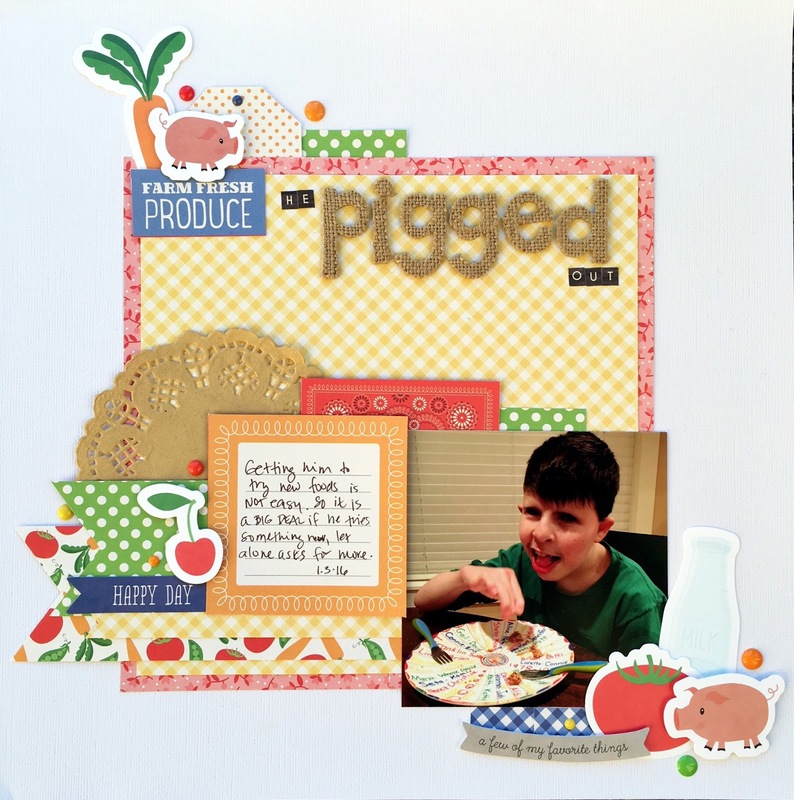 Love how well those colors and patterns work together and love the font of the letters you used for "pigged"!